Composite geomembranes consist of an assembly of at least two geosynthetic products, namely a geotextile and a geomembrane. This composition makes it possible to obtain a geomembrane with specific properties in addition to reducing the manipulations and the time required for the installation of a multilayer system. This geomembrane is used in order to minimize the risk of uplift of concrete structures during freeze-thaw cycles. It is designed with a nonwoven geotextile, made of 100% polypropylene fibers, laminated with a polyvinyl chloride (PVC) membrane. 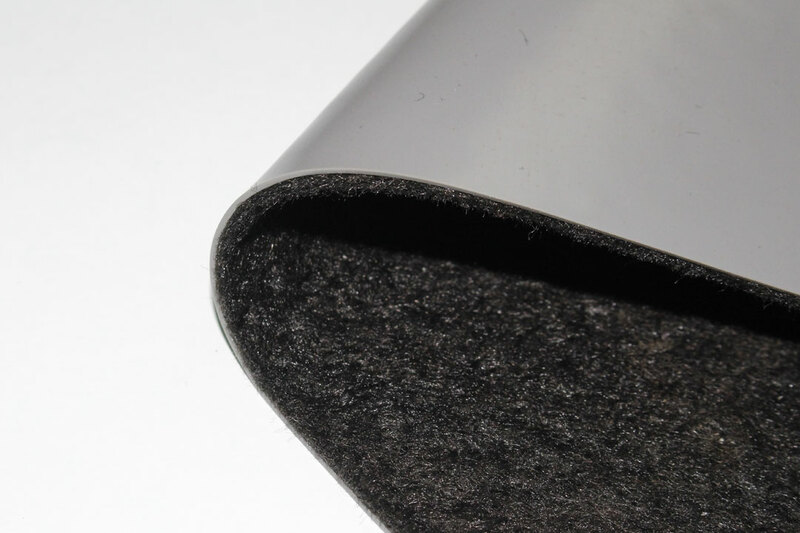 The non-woven geotextile side adheres to the concrete while the PVC face prevents any adhesion between the structure and the granular material. The sealing of joints is done using Tapecoat. The canal3® consists of a linear low density polyethylene geomembrane to which 2 nonwoven geotextiles have been laminated. This 3-in-1 composite is specially designed for the waterproofing of canals. With excellent puncture resistance, and an interface of higher friction, it can be installed directly on the majority of soils and slopes. The installation is very fast (3 products in 1) and can be welded by fusion or with a hot melt adhesive. As a result, the contractor does not need a geomembrane welding team. The Canal³ saves time and money compared to a typical waterproofing system.